Salman Khan updated fans on the progress of his much-awaited film Tiger Zinda Hai on Thursday. 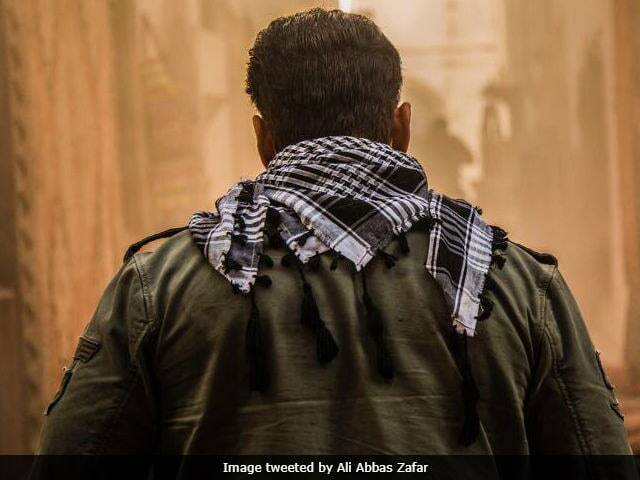 The 51-year-old actor tweeted that Tiger Zinda Hai team has wrapped the Abu Dhabi schedule of the film after shooting for 50 days. "Leaving Abu Dhabi after a great schedule of 50 days for Tiger Zinda Hai, had a wonderful time," Salman Khan wrote on Twitter. Salman Khan was shooting with actress Katrina Kaif in Abu Dhabi, who hasn't shared an update from her schedule diary yet. Earlier this week, director Ali Abbas Zafar also shared a picture of Salman Khan and Katrina Kaif from the sets of Tiger Zinda Hai. Tiger Zinda Hai is a sequel to Salman and Katrina's 2012 film Ek Tha Tiger, which was directed by Kabir Khan for Yash Raj Films. In the film, Salman played the role of RAW agent Avinash Rathore aka Tiger who fell in love with his Pakistani counterpart Zoya, played by Katrina. Tiger and Zoya elope to escape the wrath of their respective countries. Tiger and Zoya will return in Ali Abbas Zafar's film to tackle new challenges. After Tiger Zinda Hai, Salman Khan will start filming Race 3, in which he has replaced Saif Ali Khan. Katrina Kaif is also making Thugs Of Hindostan (co-starring Amitabh Bachchan and Aamir Khan) for Yash Raj Films. Katrina also stars in Shah Rukh Khan's yet-untitled film, which is directed by Aanand L Rai.